In 1961 the City of Woodstock hired a consulting engineering firm to do a traffic study. As part of the study the consulting firm asked citizens to fill out a survey ‘card’ and mail it to the Canada Post Office in Woodstock postage due. When the consulting engineering firm picked up the surveys, they had to pay the postage due. 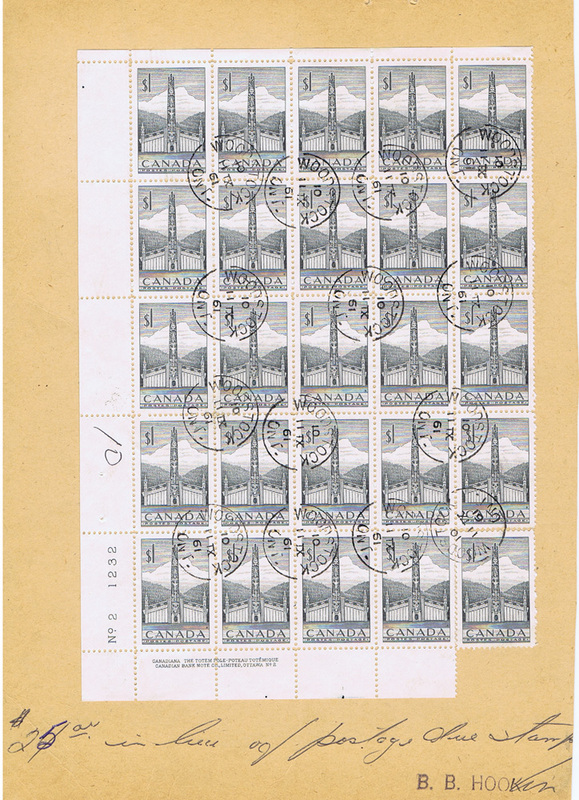 The Woodstock Post Office tracked the amount due (5c per traffic survey card) using postage due stamps stuck on a board, stiff box-board. The consulting firm received the cancelled postage due stamps as a receipt. 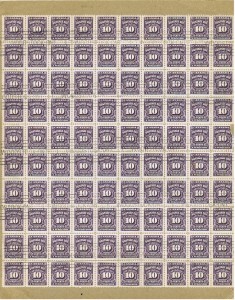 However, one time the post office used $1 stamps (the $1 Pacific House and Totem Pole, issued 2 Feb 1953) to track the amount due. 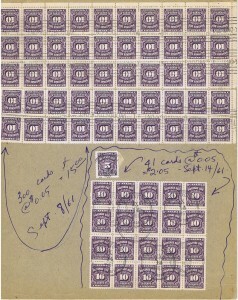 The resulting $24 block of stamps + one stamp making $25 was cancelled and formed the receipt for 500 cards. 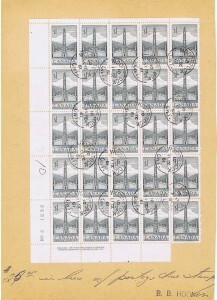 On it is written “$25.00 in lieu of postage due stamps”. 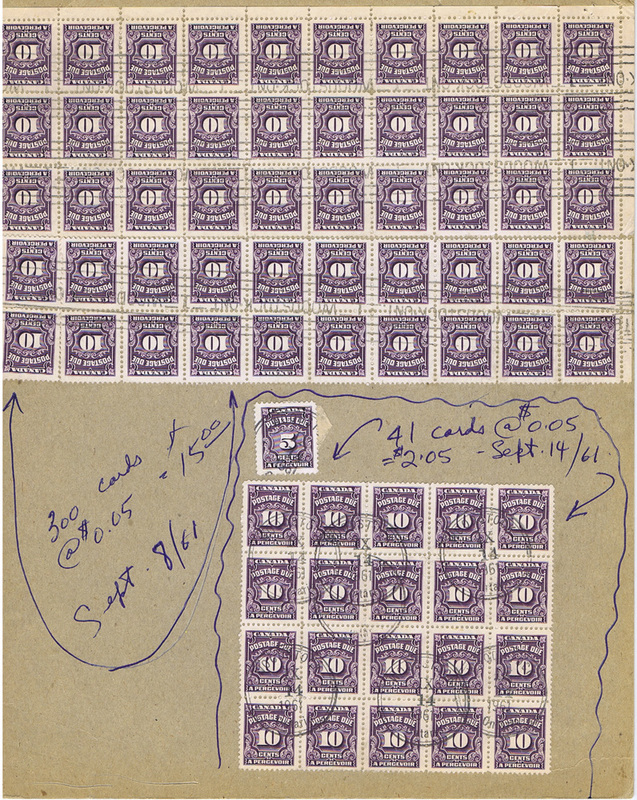 In 1961, I don’t believe there was any way to send a parcel through the mail that would have required so much postage so a cancelled $25 amount of stamps is an anomaly. 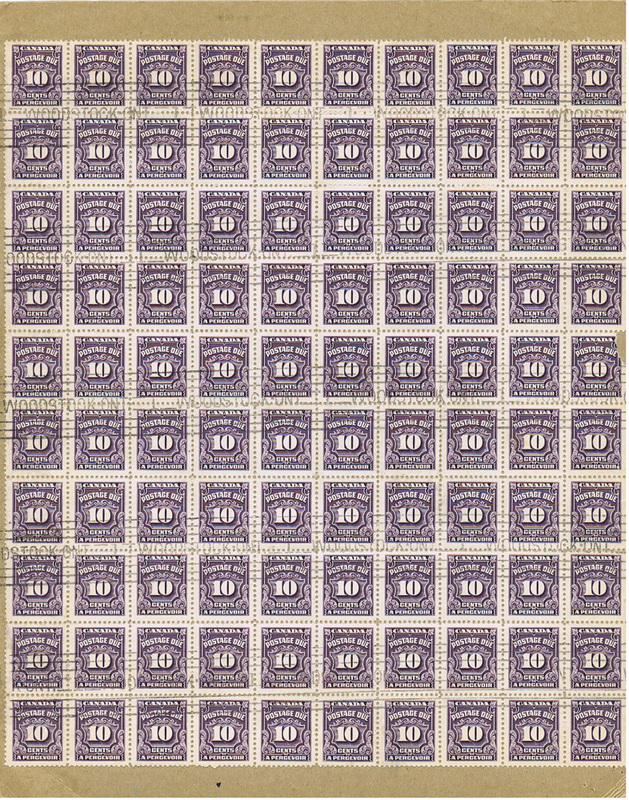 Personally, I wonder if they were running out of postage due stamps. This entry was posted in Show & Tell on 2013/Sep/05 by Jane.